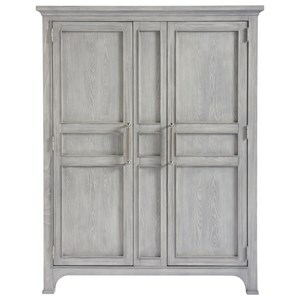 This Volray Armoire is part of the Coeur De France collection. This piece exhibits classic examples of French motifs. 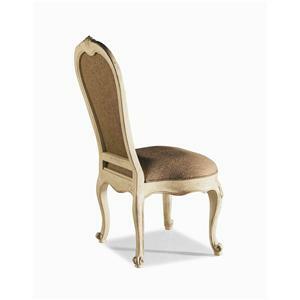 The bonnet has a scalloped center that gives way to a pierced carving detail, which extends along the top front rail. Both doors are accentuated with antique rococo designs crafted in cast relief molding. Doors open 270 degrees to reveal two adjustable shelves above one fixed shelf that can support most 35 inch televisions. It has a knock-out panel for electronic ventilation, three outlet receptacles with surge protection, phone jack and cable connections. There is also four tray drawers to provide additional storage space. 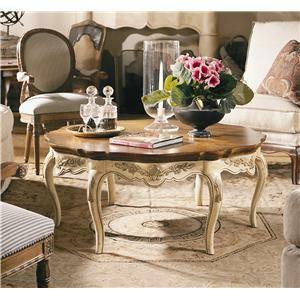 Shown in Aged Ivory finish. 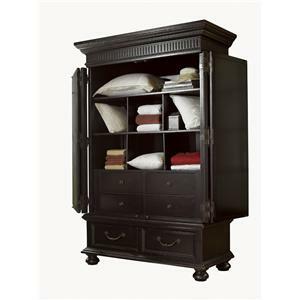 This armoire can be used for entertainment purposes or for a bedroom to store clothes, lines, and personal belongings. The Coeur De France Volray Armoire by Century at Baer's Furniture in the Ft. Lauderdale, Ft. Myers, Orlando, Naples, Miami, Florida area. Product availability may vary. Contact us for the most current availability on this product. 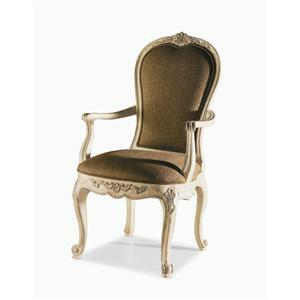 The Coeur De France collection is a great option if you are looking for Traditional furniture in the Ft. Lauderdale, Ft. Myers, Orlando, Naples, Miami, Florida area. 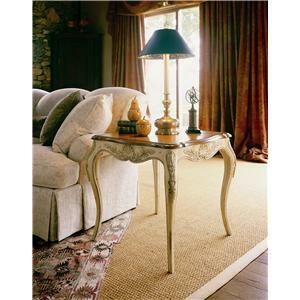 Browse other items in the Coeur De France collection from Baer's Furniture in the Ft. Lauderdale, Ft. Myers, Orlando, Naples, Miami, Florida area.